Simnel cake is a traditional option over the Easter season, it’s packed with fruit, spices and covered in marzipan. 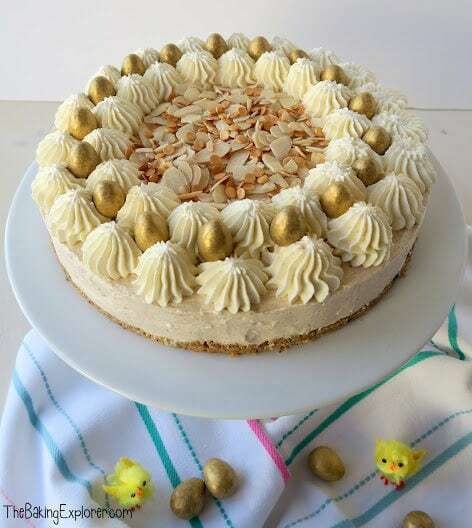 This delicious Easter cheesecake is a modern way of enjoying those flavours. 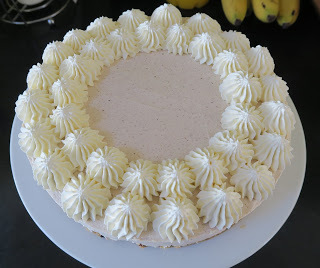 The base is made from fruity shortcake biscuits, the cheesecake filling has added spices like cinnamon and nutmeg, and the whipped cream is flavoured with almond. It’s also decorated with Galaxy Golden Eggs which are so pretty and yummy! I also used them to decorate my Chocolate & Caramel Golden Egg Cupcakes. It is also so easy to make, which is just what I needed as I’ve had a really rough couple of weeks. I had a wisdom tooth removed and the wound got infected so it made me very sick for several days. It’s now nearly two weeks later and I’m finally back to myself, and most importantly I can eat and chew again! 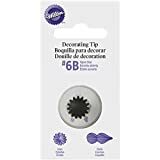 I started by whizzing up fruit shortcake biscuits (I got mine from Tesco and they were the own brand in a purple packet) in my food processor until they were fine crumbs. 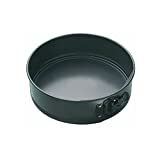 Then I added melted butter, mixed it all together, then pressed into the bottom of a 23cm springform tin. I put it in the fridge for 30 mins to set. 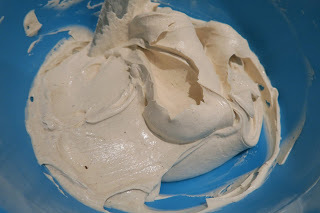 For the cheesecake filling I used my electric hand whisk to mix together full fat cream cheese, icing sugar, cinnamon, mixed spice and nutmeg. 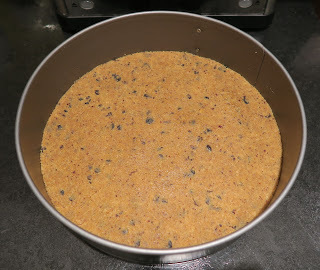 Once it was combined I added double cream and continued too mix until it was thick. 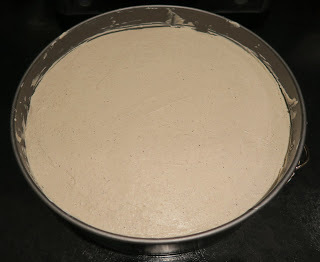 I put the filling over the base and smoothed it down as best I could. I left it in the fridge overnight to set. I then added Golden Galaxy Eggs all around in between the rows of cream, and in the middle I sprinkled a mixture of toasted flaked almonds and some gold confetti sprinkles I found in Tesco. I then added some gold glitter all over the cheesecake as the final touch! 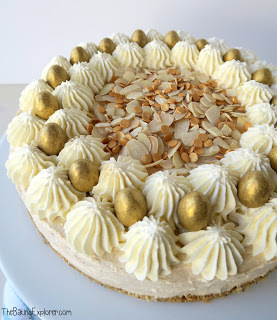 The Easter cheesecake was so creamy and the spices and almond in the cream all combined to create that Easter flavour that reminds you of simnel cake and hot cross buns. 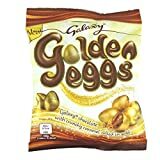 The Galaxy golden eggs and gold glitter made it look decadent and added extra indulgence. This would be an amazing dessert to enjoy after Sunday lunch, or any time over the Easter season. 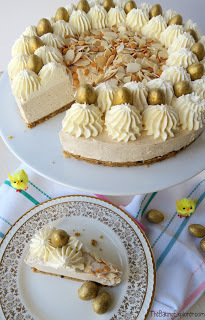 I’m linking this Easter cheesecake recipe up with Cook Blog Share hosted this month by Easy Peasy Foodie, with Recipe Of The Week hosted by A Mummy Too, and with the Sunday Fitness & Food Link Up hosted by Ilka’s Blog and Marathons & Motivation. Thank you so much for your kind words Eb. Losing your sense of taste sounds awful – I#m glad you got it back! 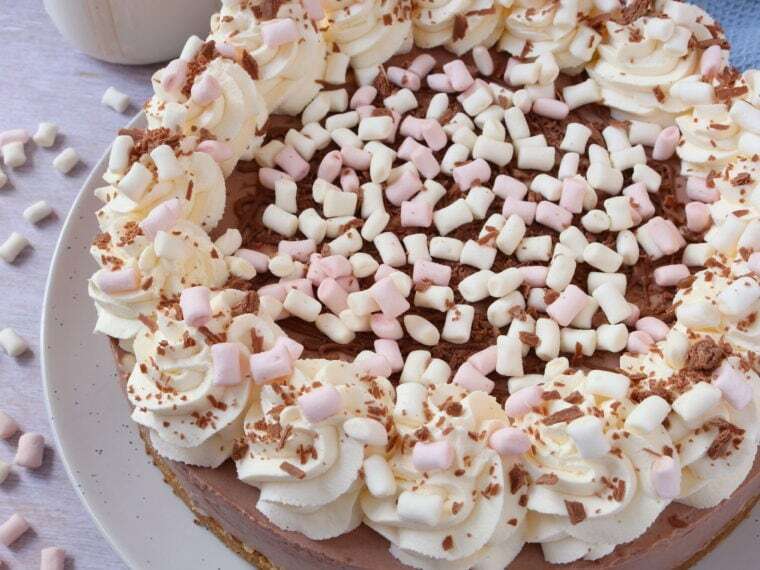 This cheesecake is totally awesome Kat….. Perfectly formed and very very tempting! Thank you so much – on both counts!